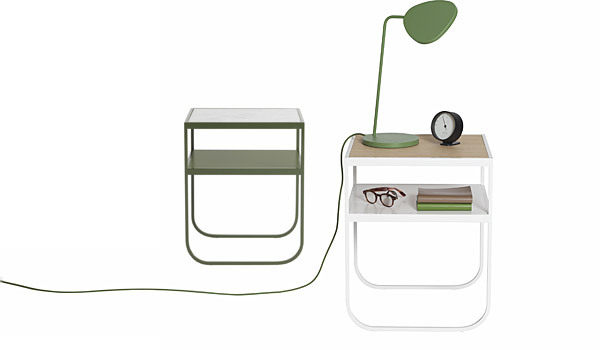 Nati Tati, bedside table by Broberg & Ridderstråle / Asplund. Broberg & Ridderstråle, Sweden 2014. Colours: Anthracite, army, white, deep blue, storm grey. Top: White carrera marble, white stained or black walnut oak or in lacquered mdf top in the same colour as the frame. Size: H.55, W.45, D.40 cm. The Nati Tati is a small and elegant nightstand/sidetable which is easily placed and perfectly suited for both homes and hotels. You can see the Nati Tati table in our showroom by appointment. Delivery time approx. 6-8 weeks.